There may be many reasons why foreigners love Thailand and why they return to Thailand that they have already visited instead of exploring somewhere new. Thai culture must be the answer. 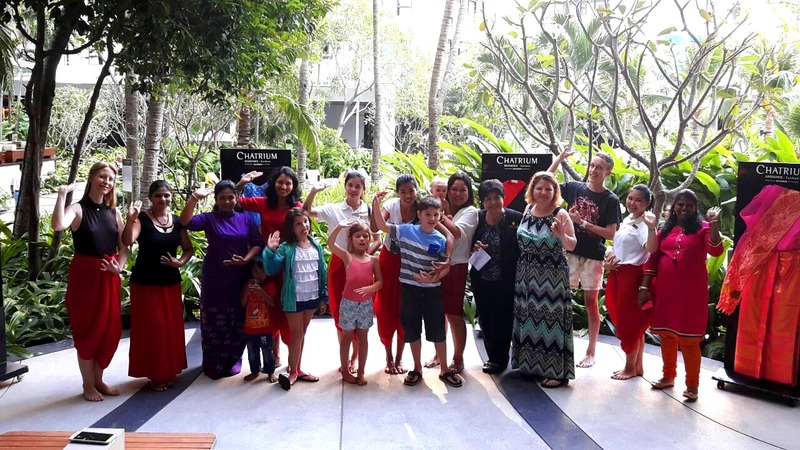 Chatrium Residence Sathon Bangkok, as a result, creates 3 special classes of Thai culture for all guests who are the Thai culture lovers to experience for FREE! Muay Thai Training – When speaking about traditional Thai culture, what cannot be left unmentioned is “Muay Thai”. If you are Muay Thai lover, it’s a perfect time for you to join Muay Thai training for free only at Chatrium Residence Sathon Bangkok. 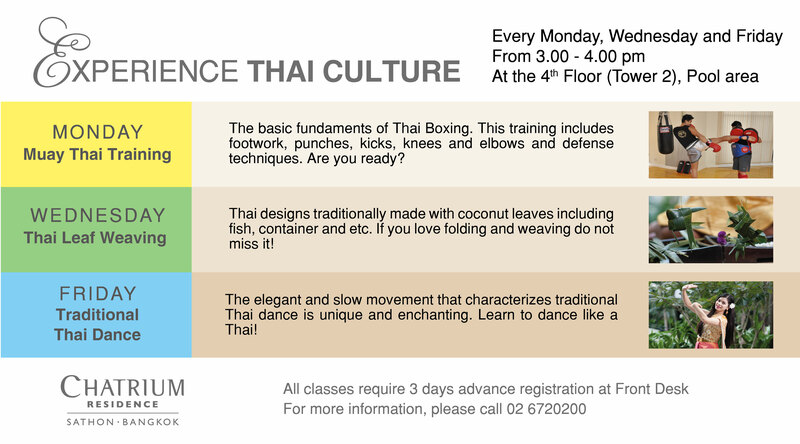 Every Monday, our Muay Thai Trainers are here to guide you all about the basic fundaments of Thai Boxing. The training includes footwork, punches, kicks, knees and elbows and defense techniques. We are looking for you who want to be the next Muay Thai fighter! Thai Leaf Weaving – If you are interested in Thai traditional craft and love folding and weaving, we are now offert and slow movement that characterizes traditional Thai dance is unique and enchanting. 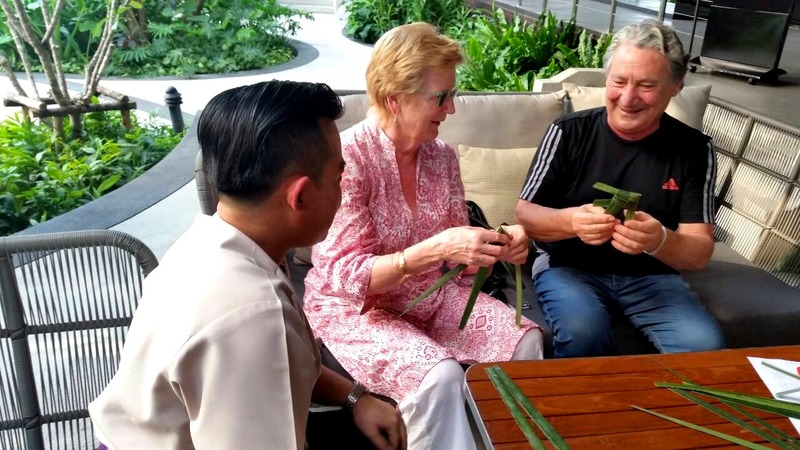 Learn to dance like a Thai!ing a Thai Leaf Weaving class, Thai designs traditionally made with coconut leaves including fish, container and etc. It is free and a very fun activity for everyone to enjoy your stay at Chatrium Residence Sathon Bangkok every Wednesday. Activities for kids start from 3.00 p.m. to 4.00 p.m. every Monday, Wednesday and Friday at the 4th Floor (Tower 2), Pool Area. All classes require 3 days advanced registration at Front Desk.